Developed/Published by Capcom. Released on January 15, 2016. Available on PC (Reviewed). Review code provided by Publisher. 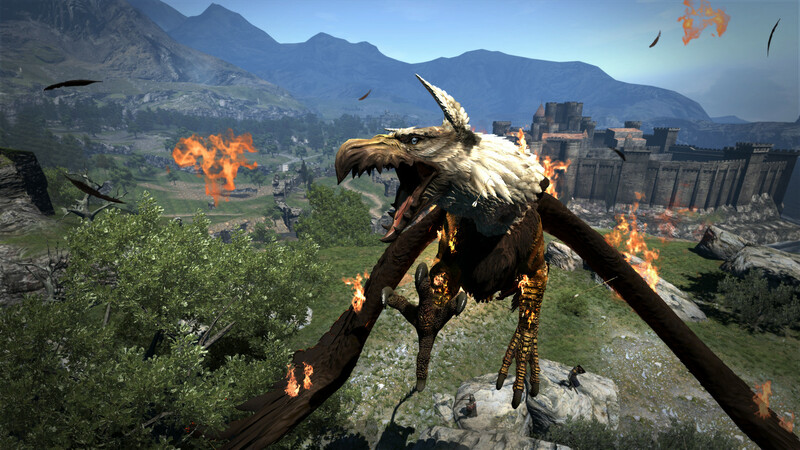 In May 2012, Capcom released Dragon's Dogma for the Playstation 3 and Xbox 360. 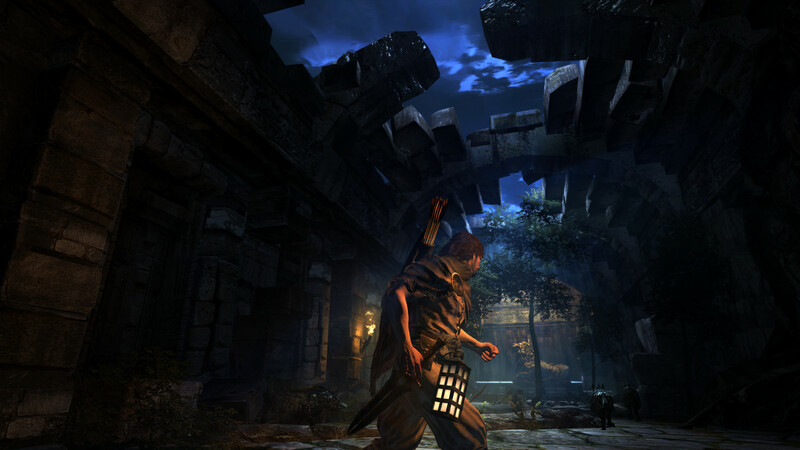 The gaming community got an open world experience held back by the limitations of the console hardware. Three years later, that same epic adventure role playing game sees a release on Steam. 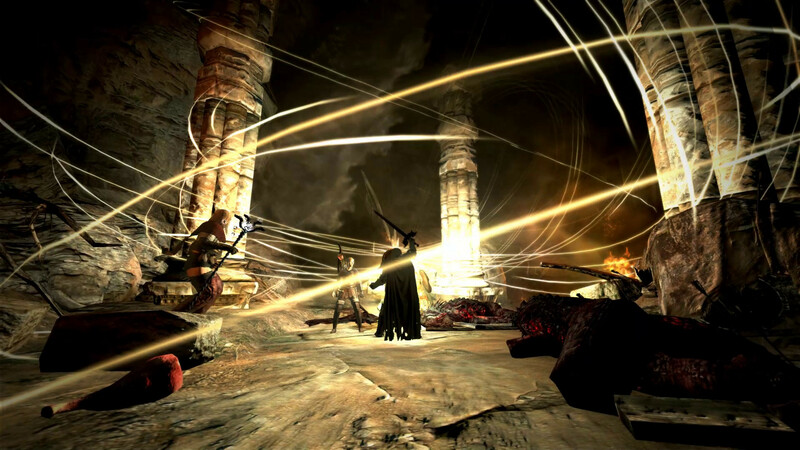 The PC version of Dragon's Dogma: Dark Arisen is the 2012 base game combined with every DLC and expansion that followed. The biggest excitement is the leaps in texture quality and framerate stability that are possible with 2016 PC gaming. Not only is 60 FPS possible on PC, but an extra "variable" option unlocks framerates completely. Capcom added customized hotkeys, allowing easy item usage on the fly, but did keep full gamepad support. 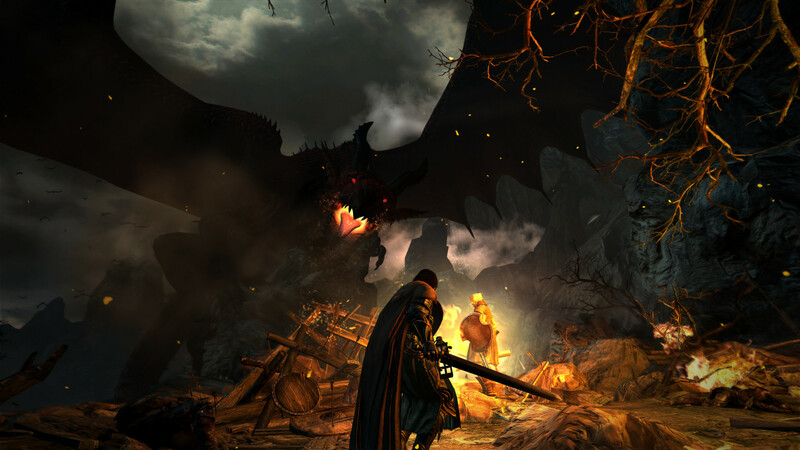 Support for 4K resolution is also included in this PC release, making Dragon's Dogma look better than it ever did before. "It's - It's the dragon!" shouts a villager. Crashing in from the distant sea, a giant beast cruises towards the village. The dragon knocks you out, but not before you were able to stab its hand. Impressed by your courage, the dragon sees you as a worthy foe. Uttering some ancient magical words, the beast pokes a claw into your chest and rips out your heart. He eats it, binding you to one another. 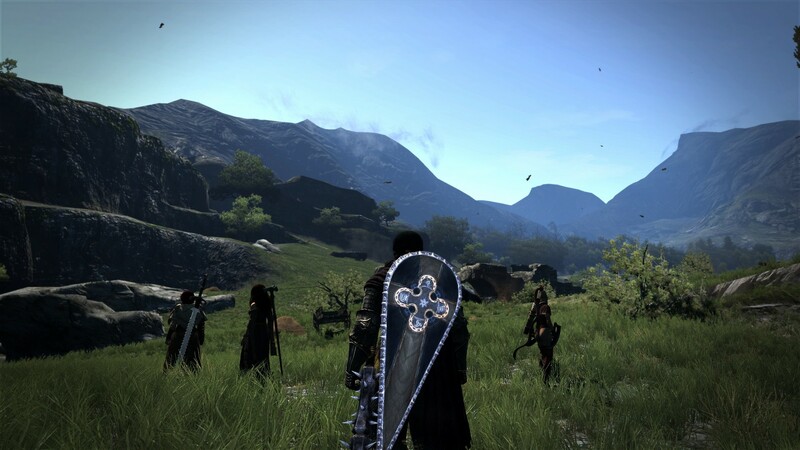 That's where Dragon's Dogma begins. If you were expecting Dragon's Dogma to have a gripping story and emotional impact like The Witcher 3, you'll be in for a disappointment. Your silent protagonist ventures off into the world of Gransys to take on a dragon without having a word to say about it. There's no real motivation for any of the events in the game, beyond the fact that a dragon is causing chaos. 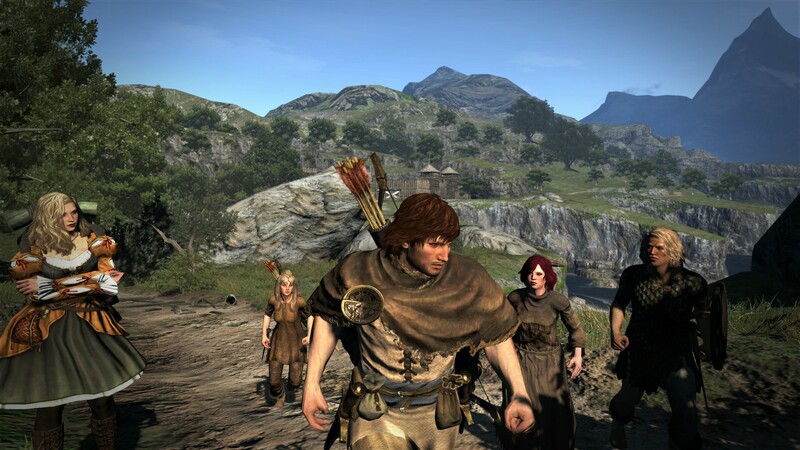 The pacing of Dragon's Dogma after the opening of the game is slow and confusing. The quests are uninteresting and lack reason beyond the simple fact that they're there. 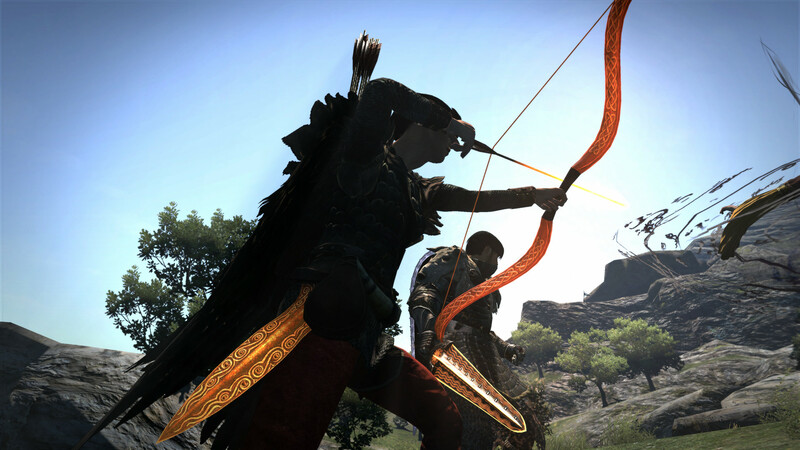 What sets Dragon's Dogma apart from other RPGs is the amount of detail that went into the enemies and combat. There are distinct weaknesses on foes that require you to alter your strategy depending on the situation. Goblins are afraid of fire and ice magic, and killing their leader will scatter their horde and demoralize them. Cutting off the tail of a Saurian lizard will cause it to flee from battle. You feel a sense of massive power and strength as a sorcerer when you call down a fire-storm of meteors or summon a giant tornado to ravage an enemy's campsite. The damage you do reflects on the enemy themselves. Lowering the health on a wolf leads to their fur getting bloody and mangled. Attacking a giant troll long enough makes their armor break and fall off their body. Big monsters like cyclops and chimeras are in a league of their own when it comes to battle. In a Shadow of the Colossus-like sense of scale, the key to defeating the giant beasts of the world is climbing onto them and stabbing at them at their weak points. Golems have purple energy discs on their stone bodies, and when they have taken a certain amount of damage, they become enraged and the discs flash into a dark pink. Ogres in particular are unique, getting excited at the sight of any female characters in your party and changing their attack pattern. Your stamina declines as these goliaths try and shake you off of them. 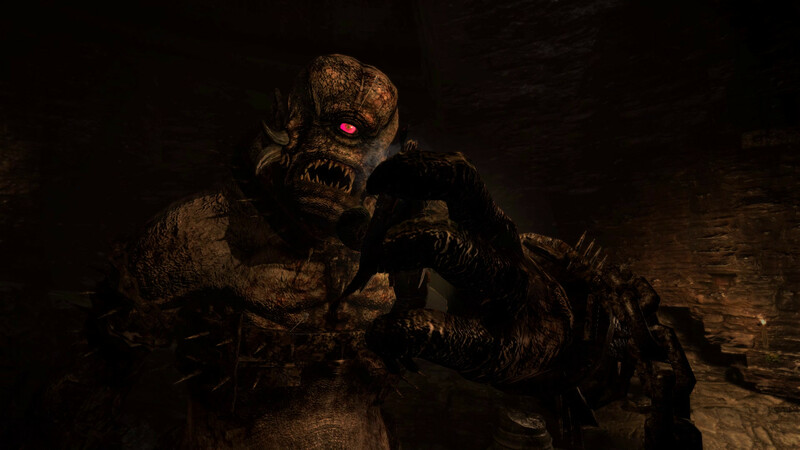 It's one of the high points of the Dragon's Dogma experience - bringing a gargantuan adversary down to its knees. You can't help but feel awesome every time you go to war against this world of creatures. Gran Soren is the main hub town where many of the game's quests and missions originate from. It acts as the capital of Gransys, home of the Duke and his knights. There was the potential of an interesting story in this setting, but much of the in-game routine boils down to traveling back and forth from Gran Soren after getting story missions assigned to you. Fast travel happens through something called a Ferrystone, and feels much more complicated than it needs to be. You use Ferrystones to travel to something called Portcrystals, which function as portable fast travel points that you can place anywhere in the overworld. 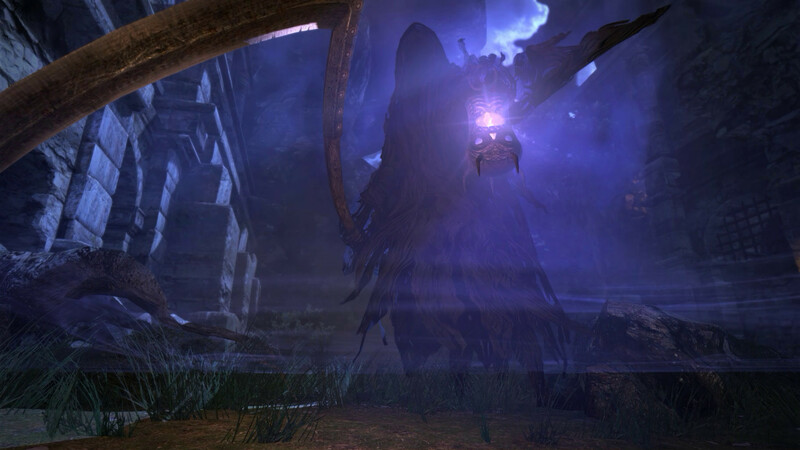 In the base game of Dragon's Dogma, these were one time use items, but the Dark Arisen expansion changed this to an Eternal Ferrystone, making it easy to travel back to Gran Soren and sell your loot between your party's adventures. 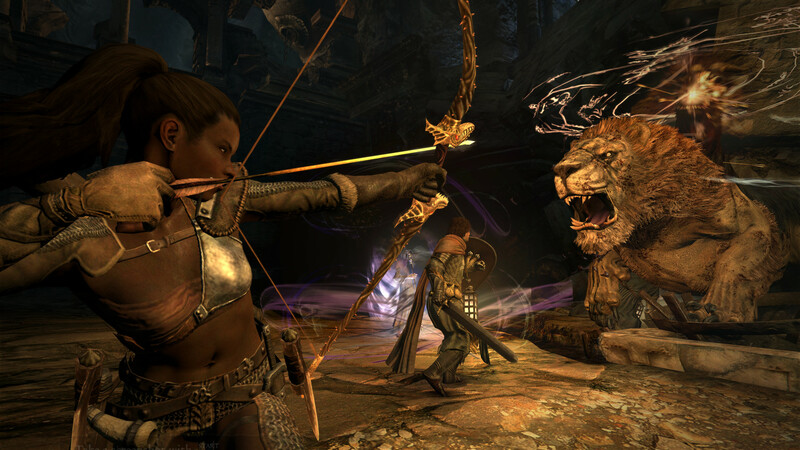 Armor and weapons in Dragon's Dogma compliment the complexity of the combat system. There are three tiers of stats upgrades for every piece of equipment, which can only carry out at the higher levels by collecting the necessary components of monsters you slay. Weapons are dependent on the vocation of your character, which means a staff is useless for a Strider and a Mage wouldn't know what to do with a sword. There are nine possible vocations (classes) in Dragon's Dogma for PC, as it includes the three introduced in the Dark Arisen expansion. The basic vocations available at the start of the game are the Fighter, Mage, and the Strider. The advanced vocations focusing on more offense than defense are Warriors, Sorcerers, and Rangers. Hybrid vocations mix the basic vocations into a combo package: Magick Archers, Mystic Knights, and Assassins. Augments bought with discipline points you gain from leveling up help unlock the true destructive power of your character. Your health doesn't regenerate on it's own after battling. You're dependent on curatives, which include various herbs, potions, and other consumables. 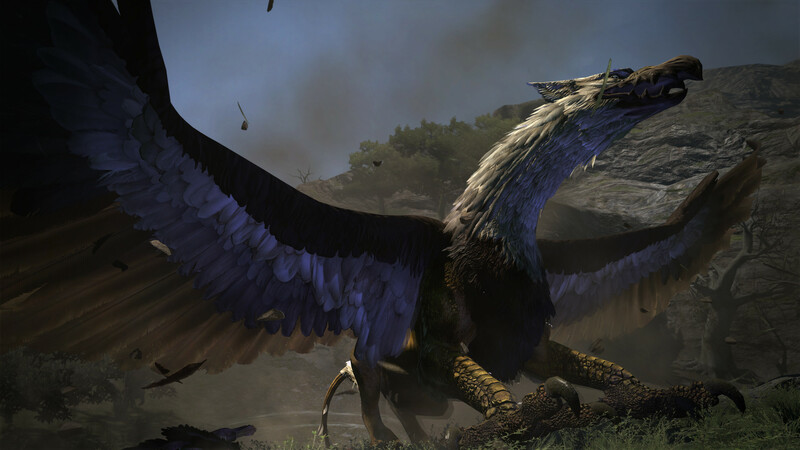 Dragon's Dogma combat also has a wide array of status afflictions that can befall you, from poison or losing your eyesight to falling asleep. There are curative items available to remedy all the possibilities. You have a max carry weight depending on the size of your character, though. Overburdening yourself and grabbing everything not nailed to the floor in your travels slows you down, making inventory management important for balancing your stamina limitations. An easy remedy for a clogged inventory is giving loot to your pawns to carry. 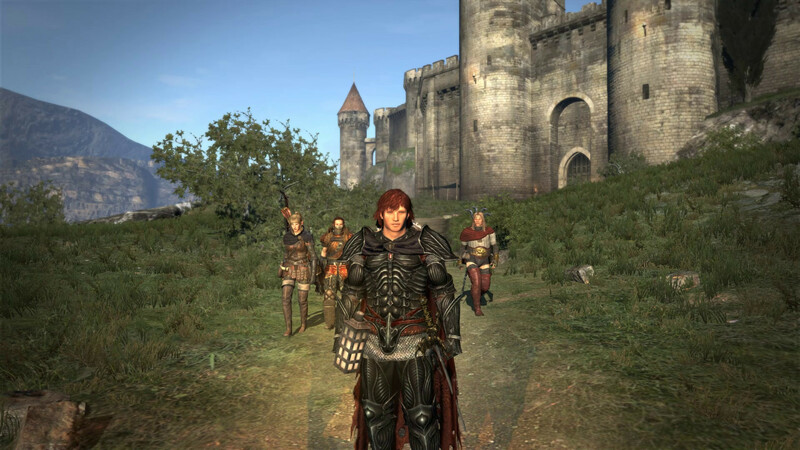 The key feature of Dragon's Dogma is the pawn system. A pawn is an A.I. companion character that fights alongside you in your journey. They come from a magical plane of existence and swear their loyalty to the Arisen. You get one permanent pawn, customizable to the same extent as your own player character, in addition to two hired pawns. Pawns are shareable online with your friends who also have the game. They provide background knowledge and insight about the places you travel to, commenting on the history of Gran Soren's Duke and the importance of stocking up on potions before heading out to fight. Many of the things the pawns say repeat themselves. But the PC version of Dragon's Dogma fixes this by giving an option to mute them entirely. The downfall of pawns is that they don't have the capacity to adapt to different combat situations on their own. The player has options to order pawns to come to you, to go to a location, or to help you in combat. These pawn controls don't work properly at times, more often in cases where the danger is high. When I was running from a fight against overpowered enemies, my pawns didn't understand that I wanted to get out combat. They stayed behind and fought to the death. I couldn't just leave them behind either, as the pawn system causes hired companions to die if they aren't revived after a short while. When pitted against huge creatures like griffins and trolls, the pawns don't have a sense of the power of those enemies. This leads to their quick demise, as they behave like they're just facing another goblin. 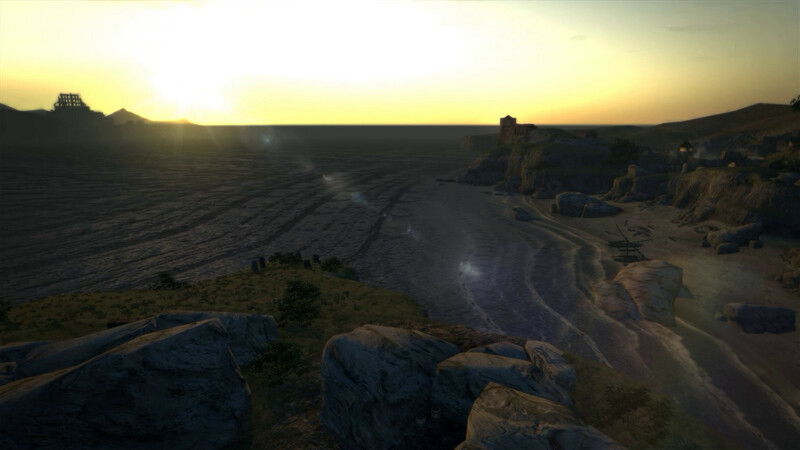 Another standout feature of Dragon's Dogma is a day and night cycle that actually makes a difference when it comes to gameplay. Night changes the overworld landscape into a world of its own. During the evening hours, it's difficult to see much of anything in the game world. Your party can still travel of course, but they're easy prey for an ambush. There are zombies that rise from the ground beneath you, spirits wandering among the battlefields where they died, and skeletons animated to life by dark magic. There's enough of an effect at night in Dragon's Dogma that I found myself resting at the inn or one of the camp sites just to avoid having to deal with what happens after the sun goes down. 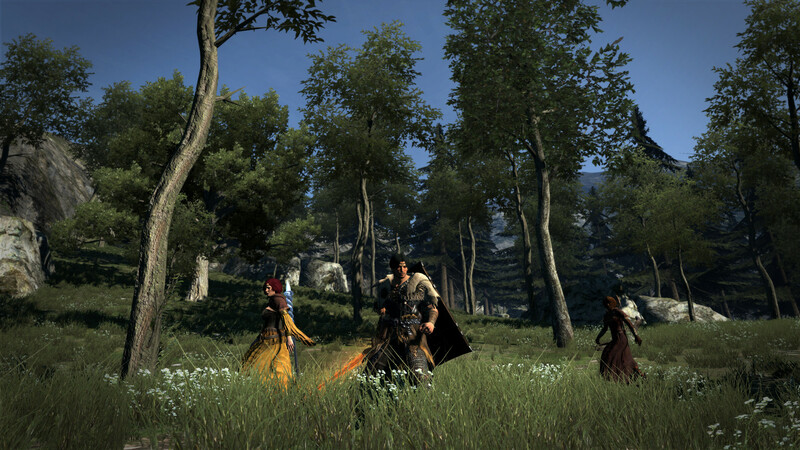 Dragon's Dogma still holds up as a solid game in 2016. 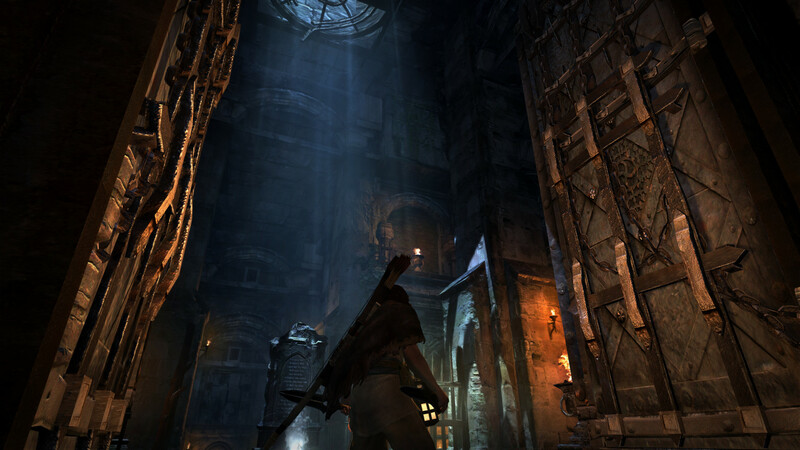 Capcom fixed many of the technical errors and glitches of the 2012 console release with patches, allowing a reliable framerate to go with your experience. 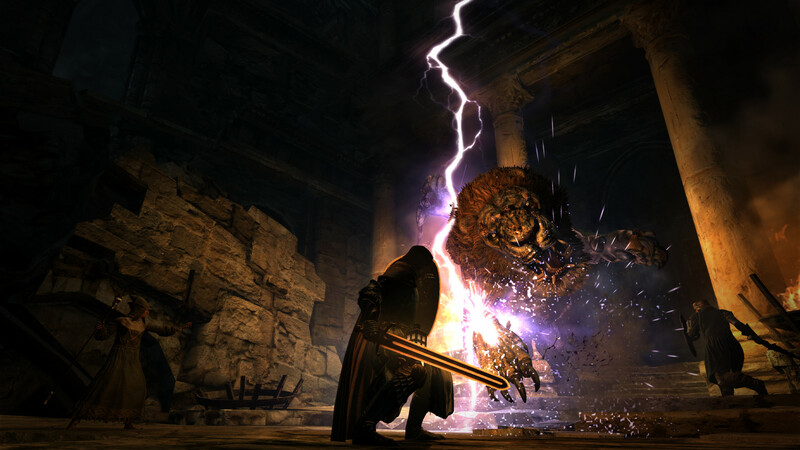 The included difficulty modes raise the stakes of the challenge. Hard mode makes you weaker and your rivals stronger, while Speed Run mode allows the more ambitious player to try and beat the game in one sitting. Including the Dark Arisen expansion content and various DLC in the PC release at a modest $30 price point makes this worth buying. 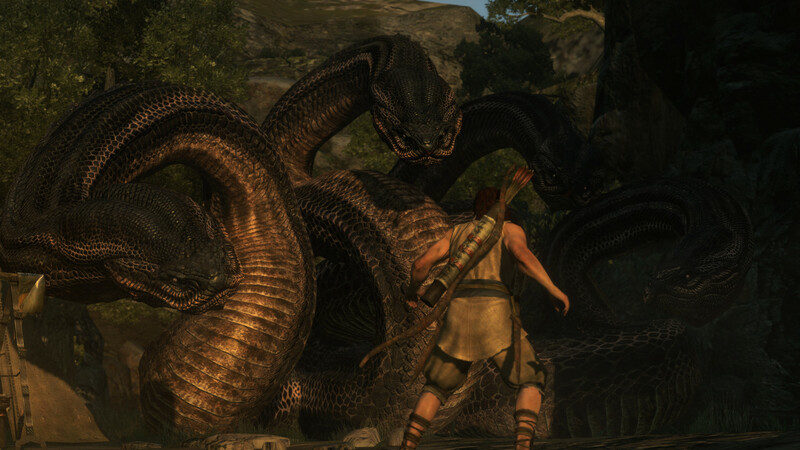 Bottom Line: Dragon's Dogma is about killing monsters and not really caring about the reason why. Recommendation: Fans of Elder Scrolls style worlds and people who like the challenge of Dark Souls and Monster Hunter games will love Dragon's Dogma.